A cat harness could provide the answer if your kitty is missing out on experiencing the great outdoors. Cats just love to explore outside, to smell the air, roll in the grass, chase bugs, climb and jump, or simply to relax in the sun. But what do you do if you live in an area where there are too many risks for your beloved feline friend? Maybe you don't have a garden. Or maybe there is too much traffic nearby, or predatory wildlife, dogs or other hazards. Or perhaps your pet has health problems which mean they can't go out alone. 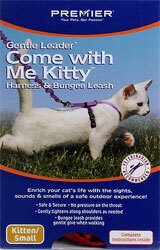 But did you realise that you can take your kitty outdoors in safety using a specially designed cat harness and leash? Why Not Use A Normal Cat Collar And Leash? If you want to take your feline friend outside on a leash, please do NOT use a normal collar! This is because their necks are more delicate than a dog's so we cannot walk them the same way. Using a normal collar can cause choking and pain as they pull against the leash. Proper cat harnesses are specially designed to fit around their shoulders and body, which is far more comfortable and safe. 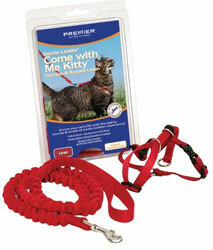 Take a look at the Premier Come With Me Kitty Harness & Bungee Leash in the picture to find out more. This type of harness gives great support and security, while being durable and lightweight at the same time. The cat leash in this design is slightly stretchy to allow some 'give' as your cat explores their surroundings, while allowing you to pull them back gently if they try to go too far. So What's So Great About Letting Your Kitty Outdoors? Many people keep their feline companions indoors, but your pet still retains many of their natural instincts, desires and needs. If your cat cannot be allowed to roam outside safely by themselves, by taking them out on a leash you will be providing them with regular opportunities for exercise, fresh air, excitement and adventure. And with a special cat harness such as the Premier Come With Me Kitty Harness & Bungee Leash, you can take them outside while all the time keeping them company and ensuring their safety! If you ever use the leash to secure your pet somewhere while you do some gardening or yard work, then please NEVER leave them unattended! Check out my other page all about training your kitty to use a cat leash and harness here! With the right approach, your kitty can come to accept their harness and leash quite readily. 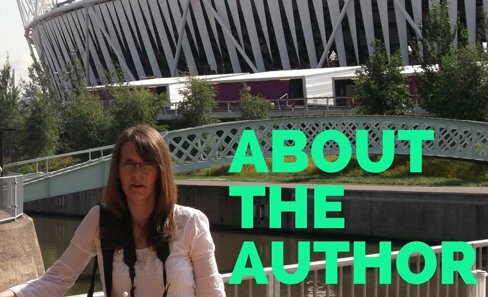 And just think of all the pleasure and benefits you will be providing for them! So please remember not to try using a normal cat collar with a leash as this can cause harm, but make sure you get a proper harness instead. Together you can have many happy years enjoying the great outdoors together!